When writing the final book of the Gifted Series, The Departed, it came to the point where I needed to decide where Pyper was from. Namely, the last place they lived in Reality. I did some research and decided on Dearborn, Michigan. It's a big city, yet not huge. It's in Michigan, which is where I always envisioned Pyper to be living. There are a few other little things that just seemed to fit. Whenever I watch movies or TV, I'm constantly on the look out for faces to go with my characters. I know what they look like in my head, so it'd be nice if I could allow the world to see them too! Recently I came across an actor and I thought, "Hm. He looks kind of familiar to me." I decided he belongs in my book. 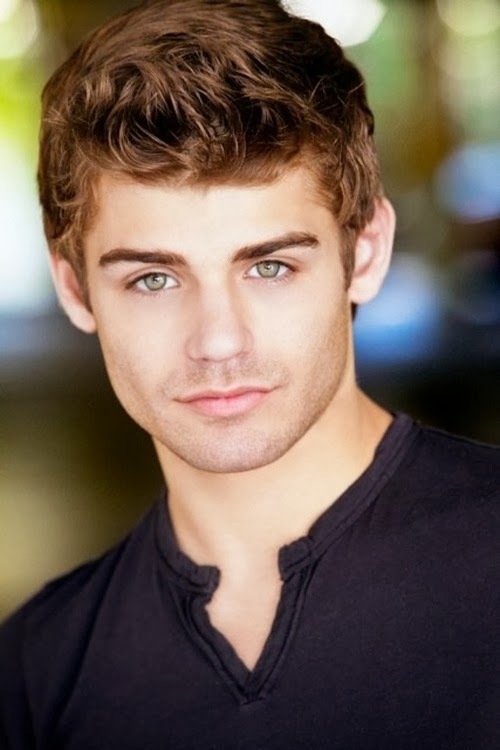 This is Kael, but in Reality, his name is Garrett Clayton. All he needs is greener eyes rather than blue, but hey. Details. Want to hear something kind of cool? Garrett is from - wait for it - Dearborn, Michigan! Is this a sign?! I take that as a yes.Garrett/Kael, welcome to the family. Have you ever read a book dedication and thought, "huh?" For Abigail and Eli. You were worth it. Those who know the story behind the dedication find those eight words quite powerful and often evoke some tears. And here is why. Almost nine years ago, my husband and I were married. We were young and in love. We were invincible. The world was our oyster. I never understood that phrase, but there you have it. We decided not to have kids right away, thinking it'd be smarter for us to finish college and save some money. Oh, to be young and naive again. After almost a year, though, I felt a strange tugging in my heart. I decided, let's not wait. Let's just go for it! My husband learned early on to just smile and nod. Another year passed. And then another. I went to a doctor who told me if I gained some weight, we'd get pregnant in a month or two. I was so embarrassed, I didn't go back. Another year passed. I went to a different doctor, who was more sympathetic and didn't mention anything about my weight. I felt so relieved and validated. We underwent nearly a year of torture and were promised pregnancy within months. I somehow knew it was all for naught. In the middle of this pain and heartbreak, we briefly discussed adoption. At the conclusion of our "few months" deadline, I suddenly felt like someone had lifted their boot and kicked me on the backside, shoving me forward. It was time to adopt. Three weeks later I received a text from my sister. She had a friend who was pregnant with our baby. Four months later, our son was born. He was the light of our lives and we were deliriously happy. When he was about four months old, I had the strangest sensation that it was time to try getting pregnant again. This time, we were to go further than before, and face three letters that felt like mountains: IVF. I fought the notion for months. I'll let you research in vitro fertilization on your own. Just know this. Every person I know who has undergone IVF (including myself) once said, "I'll never do IVF." It's too hard. It's too painful. It's too expensive. After everything I've done to get to this point, you can't ask me to do that. But. When my son was 18 months old, we found ourselves holed up in a clinic, looking at a picture of tiny, beautiful embryos that would hopefully bring us another miracle. We didn't dare hope that it would bring us two. But that's exactly what it did. Tiny little me was pregnant with twins. If I thought I was deliriously happy before, this was a whole new level of crazy. Our days were spent planning and dreaming and loving every second of our pregnancy experience and anticipating our twins. We'd had ultrasounds every two weeks for 21 weeks. At our big ultrasound, we were blindsided with the news that something was wrong with Baby A. We were immediately whisked to specialists and big hospitals and told there was about a 5% chance that the baby would survive. I held onto that 5% like a quickly fraying life line. Two weeks later, our little one was gone. To say my heart broke is an understatement. I'll spare you the details of the weeks that followed. We switched to survival mode. We had one goal in mind: Save our daughter's life. I lived on the couch. My dad drove nearly 700 miles to live with us full time for 2 months so that my son was cared for. I was a spectator to my life. But, like I said, we had one goal. Bring my daughter safely here. It worked. Five weeks before my due date, my water broke. I was finally able to meet my twins. Both of them. My daughter spent 2 weeks in the NICU 45 minutes from our home. I went from living on the couch to living in between the hospital and home. So many things changed all at once. The year before the twins' birth, and the year that followed were some of the hardest and most challenging times of my life. I'm a writer, which means words are my friends. But at the moment, trying to describe what exactly we endured renders me speechless. I suffered from severe grief. Some of the "side effects" of grief was that it was extremely difficult to focus. It was hard to do laundry. In between moving clothing from the washer to the dryer, something would catch my attention and I'd wander away. Half an hour later I'd come around the corner, seeing clothes flopping out of the washer and hanging out of the dryer. I'd think to myself, "What on earth?" And then it would hit me. I was right in the middle of doing laundry when I just walked away. There wasn't even the tugging sensation of, "What am I forgetting?" I'd just walk into a room and my mind would be a blank. I'd have no idea why I was there and often never remembered. It was in the midst of all this scrambled-egg brain that I decided, as part of my healing, I would finish the sequel to The Gifted. I needed to do this in order to feel semi-normal. I can't really tell you what it was like, writing a book with my fuzzy head and my young children and my healing body and heart. 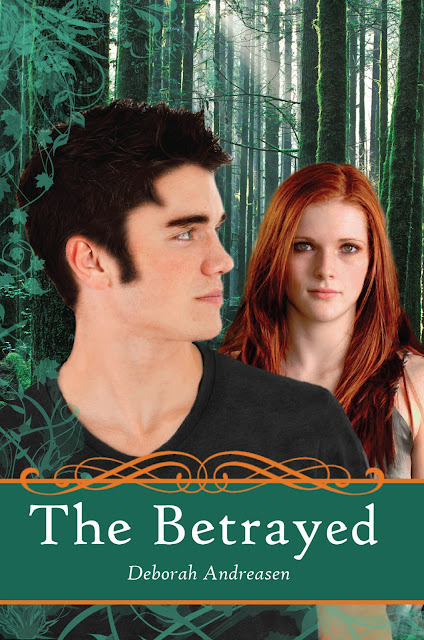 It was a challenge to finish The Betrayed. When it came time to dedicate The Betrayed, I did the only thing I could. I dedicated it to my twins. They proved to me that love overcomes everything, even pain and grief. I wanted to prove to them that I was worthy of it. People are often well-meaning when they saw not kind things. I have been on the receiving end of comments eluding to the fact that it would have been better if Eli had never been conceived. I wouldn't have had to carry him, just to lose him. I wouldn't have had to endure the pain of his loss. I wouldn't have had to suffer through a year of not knowing who I was or where I was (at the bottom of a pit, clawing my way out). I wouldn't cry every time I heard the word, "twins." There wouldn't be painful reminders of my missing son everywhere I went. I wouldn't have his love. His legacy. His name. I would never have held his tiny body in my hands, or held onto my husband as we gave him a name. Eli. I would never be able to teach my children about their brother who lives with Jesus. They wouldn't have the understanding of eternal families and a love that never dies. He wouldn't be ours. And so, I say to the world, they were worth it. Ok. This is it. Tomorrow is the release day, and I've saved the most suspenseful quote of all for last. This is an exchange between Hunter and Kael. “Tell her I’m sorry,” I whisper, but my tongue is thick, and my throat closing fast. “Hold on,” Kael says urgently, but it’s too late. The water fills my ears. My vision becomes cloudy. Kael’s mouth moves, but I hear nothing. Ooo! Is that exciting or what? And that's it for The Betrayed quotes. I hope you enjoyed them as much I did. This is Pyper talking to Hunter. She holds out her hand, and I take it without hesitation.